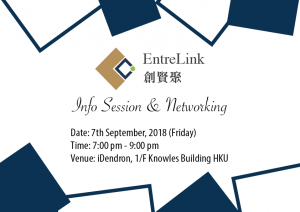 Organised by EntreLink and supported by Eureka Nova, EntreLink Open Day was successfully held on 2 October 2018 (6:00-9:00 p.m.) at Cobo House (1/F, 8-12 South Lane, Shek Tong Tsui, Sai Wan). 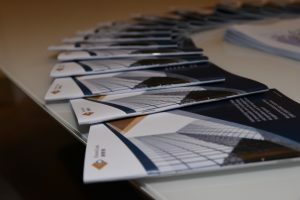 The event has attracted over 50 participants, including startup founders, government-affiliated members and investors. Positive responses have been received. 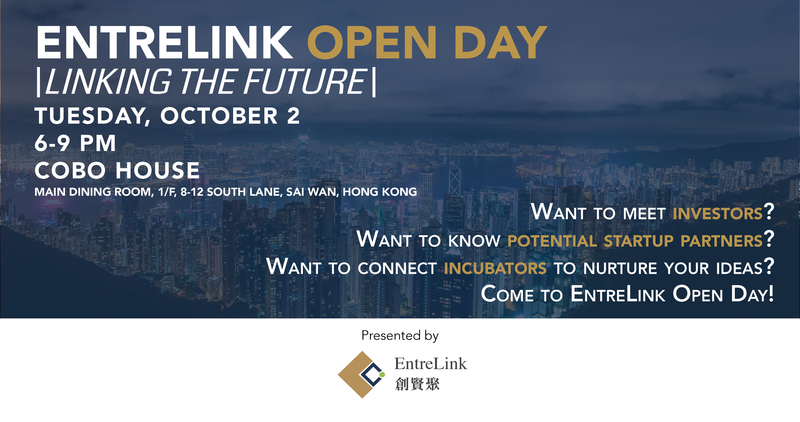 Open Day aims to introduce the vision and initiatives of EntreLink and promote the “Hong Kong Startup Index”, the first index ranking the favourability of business environments for startups in Hong Kong, ASEAN & East Asian Countries. It also offers valuable networking opportunities within the new economy community. 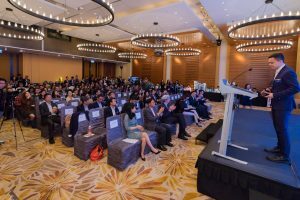 During the event, different speakers shared their experiences in cultivating business ideas and expanding businesses, as well as the shortcuts in looking for investors and funds. 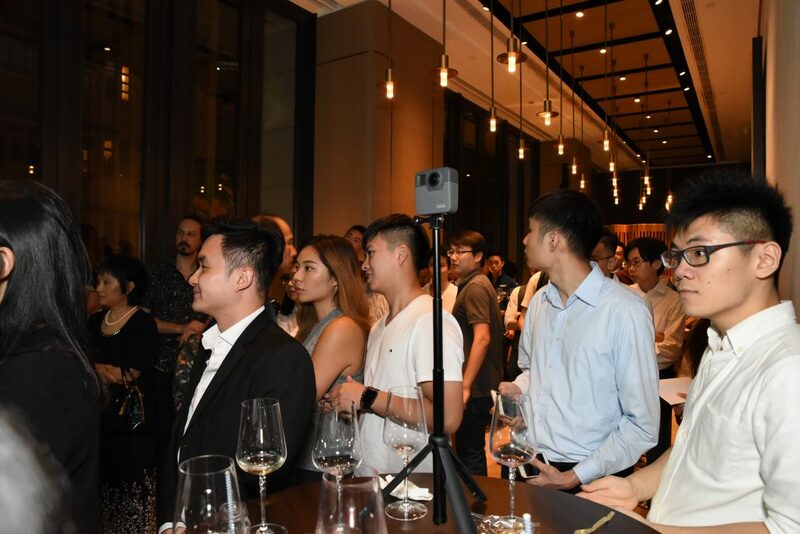 Justin Kung, Programme and Community Lead of Eureka Nova introduced their startup incubation programme while Raymond Mak, Vice-president of Investment Committee, Smart City Consortium also explained their concept in “LinkedSmart”, an International Business Matching Platform of Smart City. 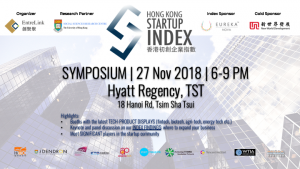 Lastly, Chloe Lam, Co-founder & Director of EntreLink called for action with regards to “Hong Kong Startup Index”, as well as joining the EntreLink community and activities. Founded in 2018, EntreLink is a non-profit organisation linking and run by startup founders in Hong Kong. Together we strive to make Hong Kong a global technology and innovation centre and create a sustainable new economy for present and future generations. For enquiries, please contact EntreLink by email (info@entrelink.hk).